If only projects came with do-overs. 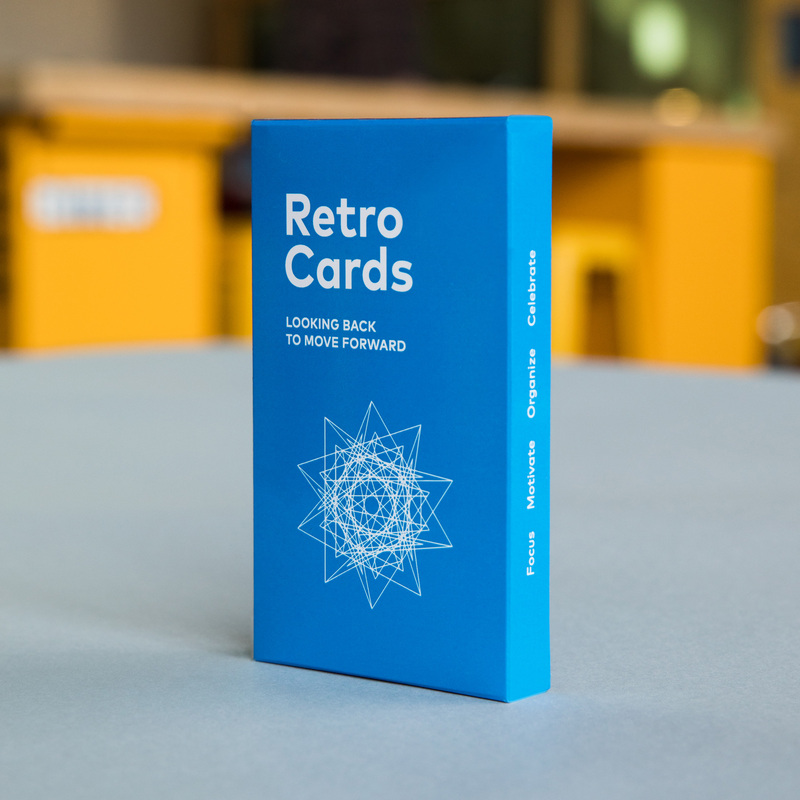 Well, by using Retro Cards to triage your latest project, you can get close. The goal is to help create a conversation in which everyone reflects on what happened during a project and then identifies actions for improvement. 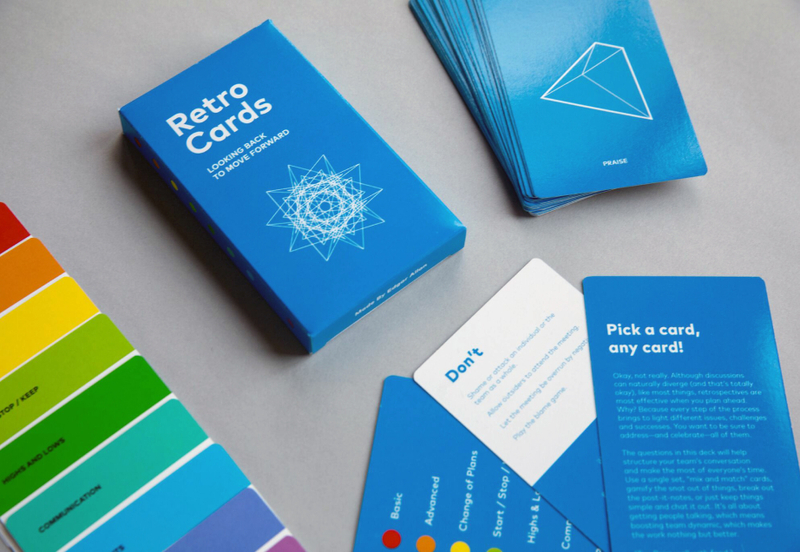 The goal of a retro: Make things better next time…do it differently…or do it the same (just more awesome). You get the point. The cards cover all the bases of potential project-end fallout and personal reactions to various triggers, from changes of plans to teams on a high (or with hurt feelings), road blocks, to feeling disconnected from process or outcome. 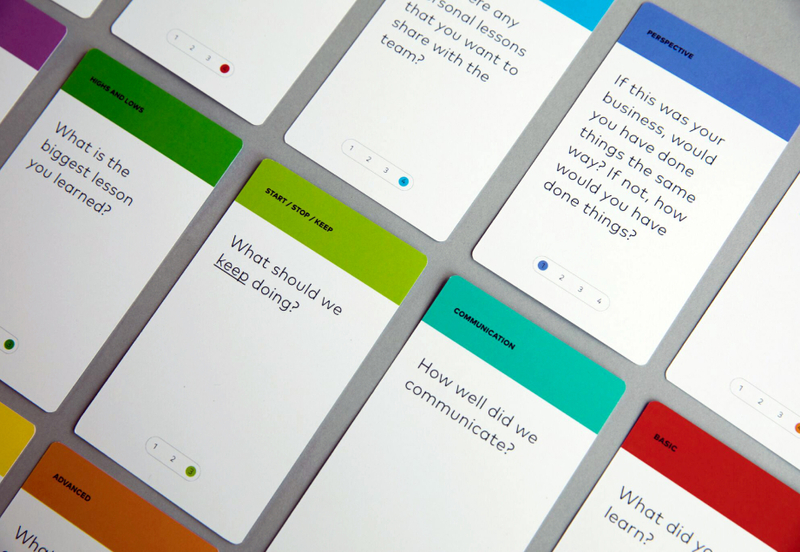 On your first go, newbie teams might start with the basics, like “What did you learn?” and “What went well?” As you get more retros under your belt however, the deck deepens the line of questioning, pushing participants to consider compromises, communication, and what happened vs. what was supposed to happen, all via non-drama-inducing questions. 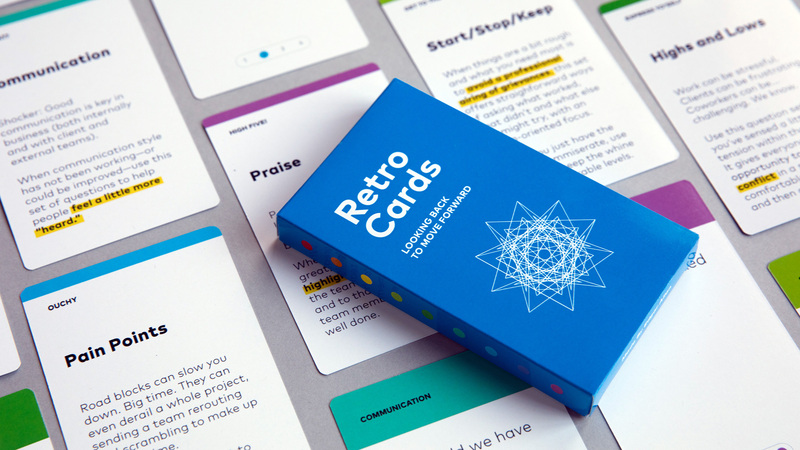 The questions in this deck will help structure your retro conversation and make the most of everyone’s time. 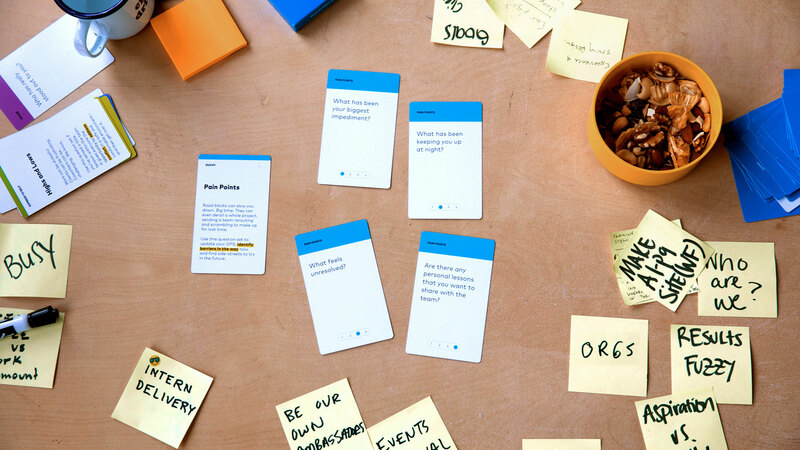 Use a single set, mix ‘em up, gamify the snot out of things, break out the post-it-notes, or just chat it out. It’s all about getting people talking and boosting team dynamic, which makes the work nothing but better. Create a safe space for openness. Track action items; revisit them during each retrospective. Celebrate wins and make it fun! Shame or attack an individual or the team as a whole. Allow outsiders to attend the meeting. Let the meeting be overrun by negativity. Edgar Allan is a digital agency in Atlanta that helps companies bring their products to market. We do it by looking closely at the intersection of brand story and user story. If you would like to hear more, drop us a line.